Fiona Hunter is Associate Director of CHEI. Fiona Hunter is Associate Director of CHEI; Hans de Wit is a member of the Centre's Scientific Committee. Dolly Predovic is a CHEI PhD student, John Dennis is CHEI Affiliated Faculty and Elspeth Jones is a CHEI Scientific Committee member and Honorary Visiting Fellow. 11 December 2018. WES World Education News and Reviews. Edited by Leasa Weimer. 2018. This publication contains a chapter entitled Language and Identity by Amanda Clare Murphy, Professor of English Language and Translation and Director of the Centre for Higher Education Internaitonalisation (CHEI). Fiona Hunter is Associate Director of CHEI; Elspeth Jones and Hans de Wit are members of the Centre's Scientific Committee. EAIE blog on student services by CHEI PhD student Jerome Rickmann. 10 October 2018. Hans de Wit, Andrés Bernasconi, Visnja Car, Fiona Hunter, Michael James and Daniela Véliz (Eds). Series: Global Perspectives on Higher Education, Volume 41. Fiona Hunter is Associate Director of CHEI, Hans de Wit is a member of the CHEI Scientific Committee and Visjna Car is a PhD student on the CHEI programme at Università Cattolica del Sacro Cuore. Soft Power Projection : The Political Return on Investment in International Higher Education by Christopher Ziguras, CHEI Scientific Committee member. 2018. In Handbook on the Politics of Higher Education, eds. Brendan Cantwell, Hamish Coates, and Roger King. Edward Elgar Publishing, 167–86. John K Hudzik, Professor, Michigan State University, is Chair of the Centre's Scientific Committee. Francisco Marmolejo is Lead in Tertiary Education at the World Bank and member of the Centre's Scientific Committee. Article co-authored by CHEI PhD student Ravi Ammigan and Elspeth Jones, Honorary Visiting Fellow and member of the Scientific Committee, CHEI. Published in the peer-reviewed Journal of Studies in International Education, May 2018. John K Hudzik, Professor, Michigan State University, is Chair of the Scientific Committee, CHEI. 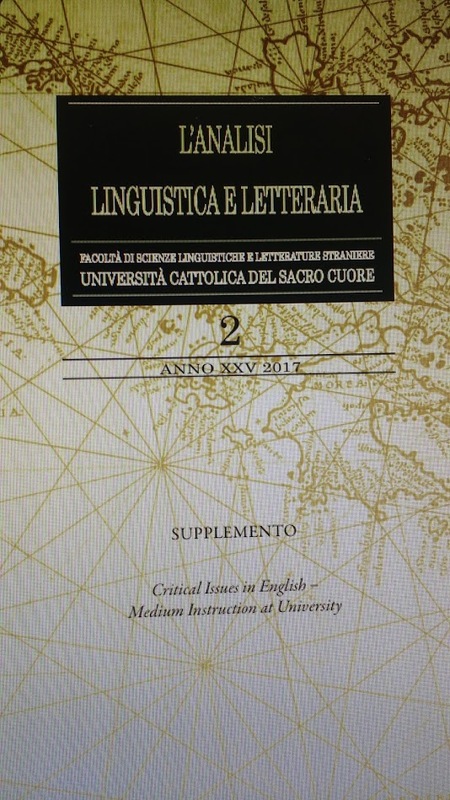 The proceedings of the Centre for Higher Education Internationalisation's first international symposium on English-medium instruction in higher education held on 6 May 2016 are available as a supplement to L’Analisi Linguistica Letteraria, the double-blind peer-reviewed journal published by the Faculty of Linguistic Sciences and Foreign Literatures of Università Cattolica del Sacro Cuore. The journal is open access and can be digitally downloaded here. Will global online higher education ever take off? International Influences on Vietnamese Higher Education: French and Soviet Legacies Meet Contemporary Globalism by Christopher Ziguras, CHEI Scientific Committee member, Anh Pham and Supanida Chantarin. 2017. In Higher Education in the Asian Century: The European Legacy and the Future of Transnational Education in the ASEAN Region, eds. Christopher Hill and Rozilini M Fernandez-Chung. London: Routledge, 95–106. Stakeholder Views of Quality Assurance in Cambodian Higher Education by Moniroith Vann and Christopher Ziguras, CHEI Scientific Committee member. 2017. In The Rise of Quality Assurance in Asian Higher Education, Elsevier Ltd, 1–14. Article by CHEI PhD student Ravi Ammigan, co-authored with Peter Briggs and published in the peer-reviewed Journal of International Students Volume 7(4), 2017. 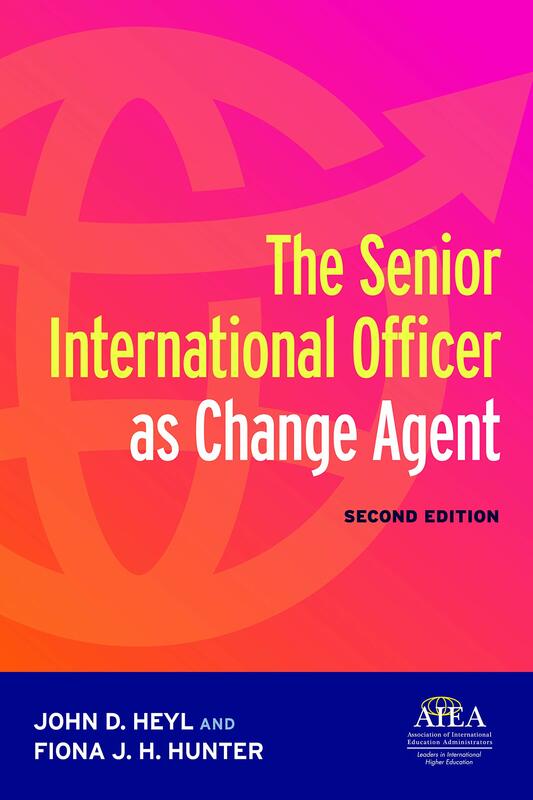 This chapter on international students services was co-authored by CHEI PhD student Ravi Ammigan together with past CHEI Visiting Scholar Adriana Perez-Encinas. It was published in the Springer Encyclopedia of International Higher Education Systems and Institutions, December 2017. CHEI Scientific Committee member Hiroshi Ota together with co-author Kiyomi Horiuchi contributed to this volume on EMI in Japanese higher education with a chapter focussing on accessibility for international students to programmes in Japanese universities delivered in English. This series by Routledge is edited by CHEI Scientific Committee member and Honorary Visiting Fellow, Elspeth Jones. 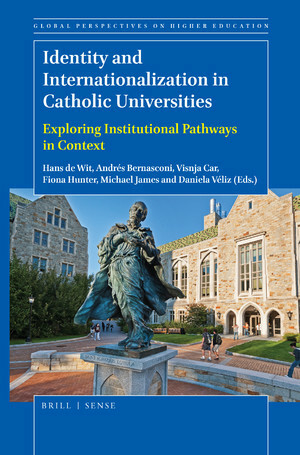 It deals with key topics within internationalisation of higher education with contributions from leading thinkers in this area, including CHEI Scientific Committee members Betty Leask, John K. Hudzik and Christopher Ziguras. This European Parliament study was co-authored by the Centre for Higher Education Internationalisation (CHEI), the International Association of Universities (IAU) and the European Association for International Education (EAIE). 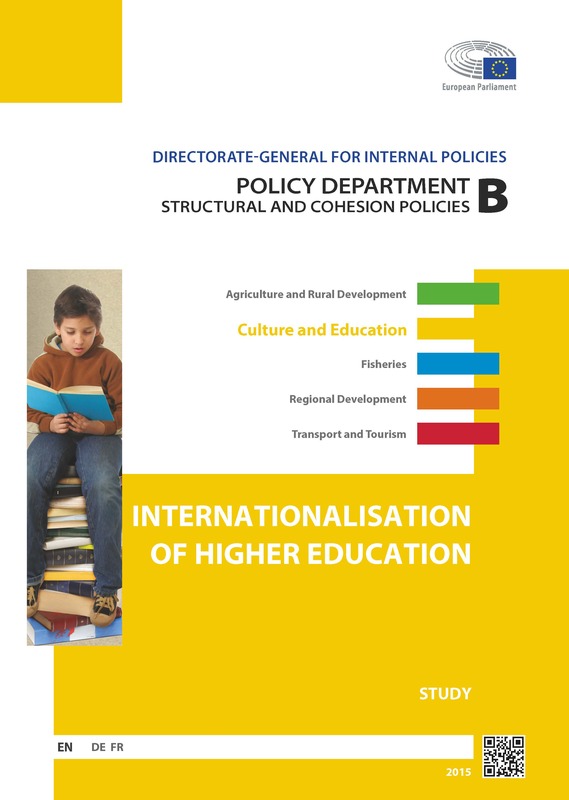 It is an analysis of the current state of internationalisation of higher education and includes reports on ten European countries plus seven countries outside Europe. 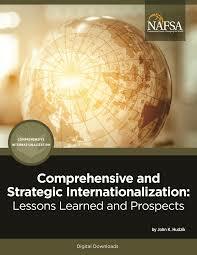 It draws a picture of the future HE internationalisation in Europe, by identifying key trends. First published in July 2015 in English, it is also available in Italian, French and German. Wendy Green was a Visiting Scholar at the Centre for Higher Education Internationalisation (CHEI) in 2013. 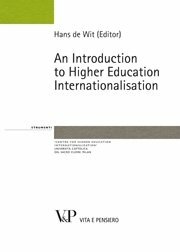 This volume provides an introduction to key issues in higher education internationalisation in three parts. 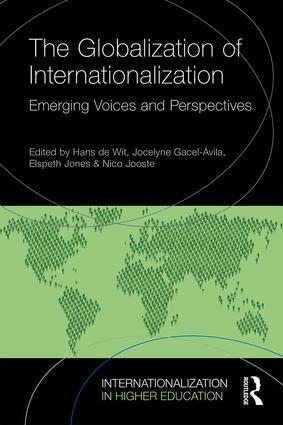 The first part deals with internationalisation meaning and rationales; the second part deals with internationalisation of the curriculum; and in a final chapter Università Cattolica's state of internationalisation is explored. Hans de Wit was the founding Director of the Centre for Higher Education Internationalisation (CHEI). He was Director of the Centre until 2015 and has been a member of the Scientific Board since then.